We have an opportunity for skippers or crew wanting to do some mile building on our 39’ Tosca Rotary Scout in February 2017 when she returns from Rio de Janeiro after completing the Cape to Rio race in January. The trip will be ideal for those wanting to fulfill the miles requirements for the SAS or RYA Yachtmaster qualifications – i.e. three overnight passages of at least 100 nautical miles each as skipper: the first from Rio to Ilha Grande on the South Coast of Brazil, the second from Ilha Grande to Tristan da Cunha and the third from Tristan da Cunha to Cape Town – the actual routing being weather permitting of course. It is also an opportunity to visit the most remote inhabited island in the word, being Tristan da Cunha. The voyages to Ilha Grande and Tristan will also include some coastal sailing and anchoring which will further enhance the sailing experience for skippers towards their qualifications. There will be a maximum of 8 crew on the vessel and skippers will all be given the opportunity to take full responsibility for her as part of their trip, overseen by the very capable Peter Bosch, an SAS Yacthmaster for whom this will be his third return trip from Rio on this particular boat. Peter has also sailed the boat to St Helena twice previously. Rotary Scout has all of the necessary blue-water sailing equipment, including AIS, Satellite data connection and phone, EPIRBS, life raft, emergency water maker and SSB radio. A donation of R10 000 per crew member towards the cost of the trip will be required to participate in this voyage which will include all the required diesel, mooring fees and satellite communication costs etc. Provisioning costs will be split among the crew with menus agreed upon by all, as with cooking duties. The vessel also comes with game fishing equipment and a tender as historically the trip has yielded some extraordinary fishing opportunities. Flights to Rio will need to paid for individually by each crew member and SAA has just announced a mariner’s one-way ticket for R10 300-00, including all airport taxes. Crew wishing to use the vessel for accommodation at no additional cost in Rio may do so on a first-confirmed, first-come basis. 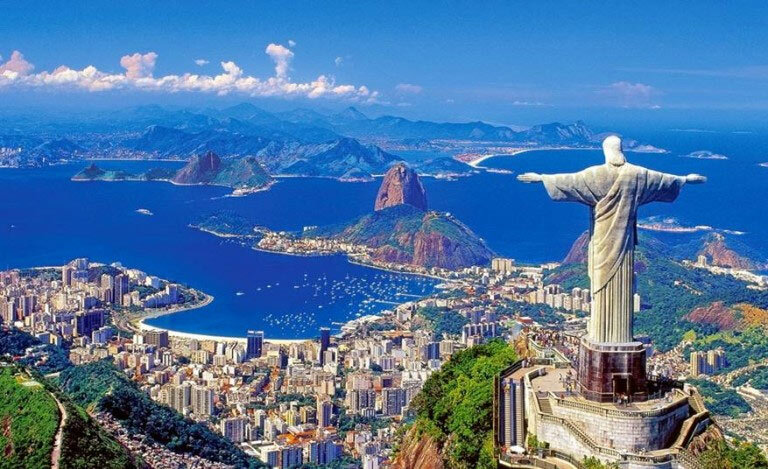 South African and British passport holders do not require VISAs to remain in Brazil for up to 90 days and previously crew have used the return voyage as an opportunity to visit Brazil and spend some time seeing the highlights there before embarking on the voyage. For more information or to express an interest in participating in what could be an opportunity of a lifetime please contact grant@camsoft.co.za or give him a call on 082 4488012 to discuss it with him. When responding via e-mail please identify your age, relevant qualification (e.g. SAS Day Skipper, Competent Crew etc. ), sailing experience and any other relevant information, e.g. first aid skills etc.